Roboastra arika Burn 1967. Purple bodied with yellow/orange lines. Feed on bryozoans. Fiji photo. Roboastra tigris. Sea Tiger. Tropical Eastern Pacific; Sea of Cortez. To 30 cm. Body green to yellowish, with five longitudinal dark stripes outlined in green. 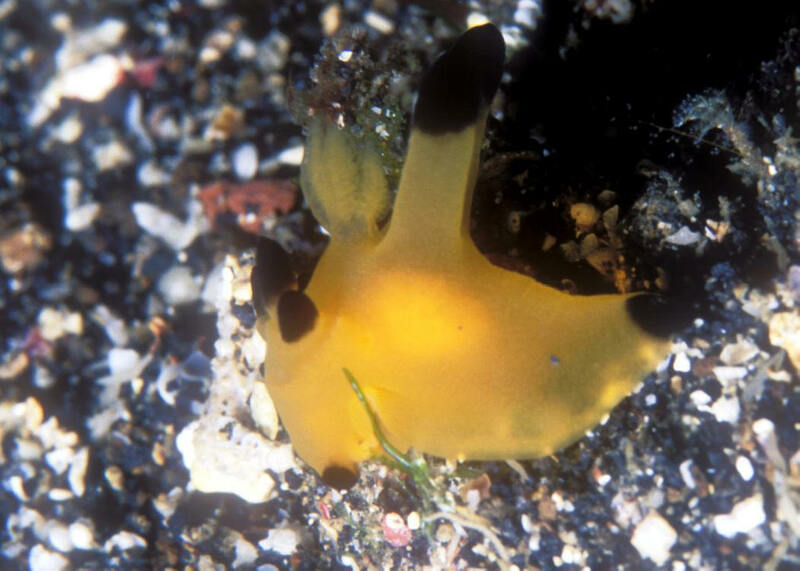 Rhinophores and gills blue-black, the latter with yellow internally, oral region blue. 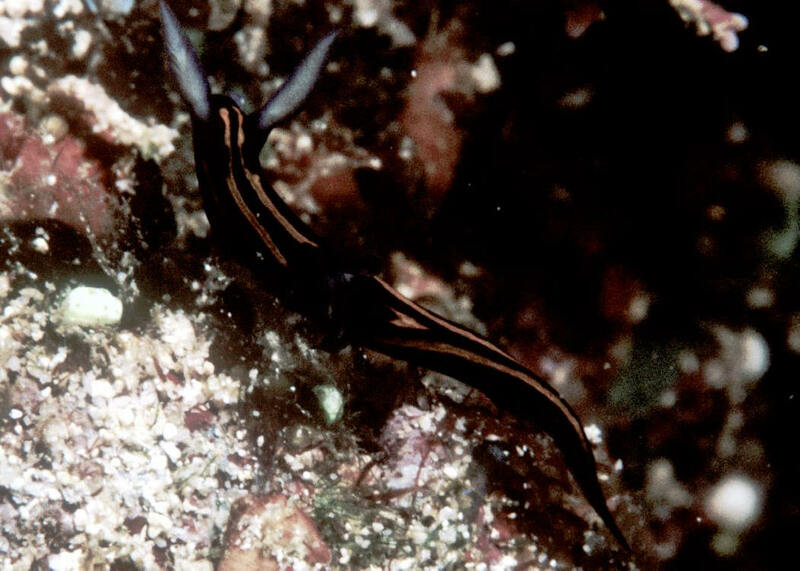 Feeds on other Nudibranchs. 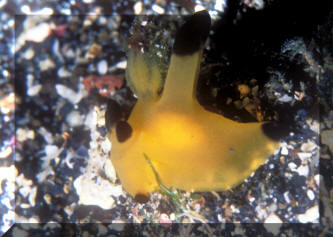 Thecacera sp. 5. 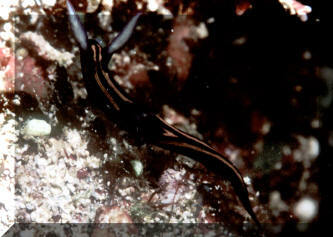 N. Sulawesi (Lembeh Strait) pic.